Opening up a catering business can be an expensive venture. You will need a variety of equipment and supplies in order to run a successful business. One of the most essential categories of supplies you will need are catering disposable items. 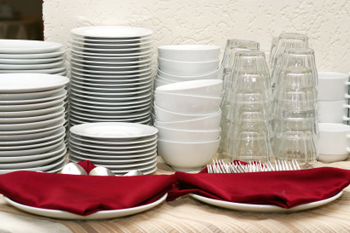 This includes items like paper plates, utensils, and trays. If you are looking to buy these types of supplies, there are several different places you can go to get these items for your business. Remember that it is always a good idea to go through numerous stores and suppliers before settling on one so that you can get the best deals. One of your first options should be to visit a restaurant supplier that is in your local area. These stores will have most of the supplies you need, including different types of condiments, such as salt and pepper and other spices. More than likely this will not be the cheapest option, but it enables you to have access right away to the things you need. You will be able to walk in the store, buy your supplies, and walk out with them that day. Another option for you is to go to a warehouse store or club store. These stores require you to pay a fee to become a member and have access to the store and its goods. You will be able to find a lot of your supplies at these stores in bulk, which helps you to save money. On the downside of this, you have to pay a big fee to be a member of the store. You can also get supplies from an online supplier as well. There are a number of perks for shopping online. Most of the supplies you get online are going to be available for a much cheaper price. You will also be able to get special deals on bulk items as well. CooksDirect the Online restaurant supply store featuring over 30,000 restaurant supplies and equipment choices. Shop major restaurant equipment brands. Search for hard to find restaurant supplies. Fast shipping. BBB A+ rated!